A link to the Table of Contents at the above link will demonstrate the topics covered. It seems to me that all pastoral ministers need this book. for “new releases” or just follow the link above which may be easier. The author was a professor mine at the University of Notre Dame and is quite good in his scholarship and pastoral insight. 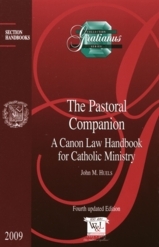 Funny, my 1000th post is on a book on canon law. present to those in need. visited also witness Christ to us –ministry is a two-way street. the Vicar General of the Archdiocese of Chicago. 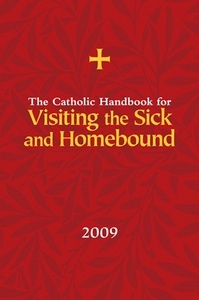 Catholic Handbook for Visiting the Sick and Homebound annually. This book is also available in Spanish. of Prayer. It is a useful resource for understanding the theology and practice of prayer in common for the intention of the reconciliation of Christians. We are made for others. The human heart naturally reaches out, even craves and depends on friendship. The truest desire of communion of heart, mind and body happens in the with God (or at least it ought to begin with God) and then there ought to be a communion with another human being as is found in marriage, friendship or religious life. From experience, we understand that man and woman are incomplete without some fulfilling relationship but the fulfillment comes not from any relationship; it comes from a place deep in the human experience, the correspondence of the heart. Christians exist in a companionship that has divine and human coordinates. Analogically, we say the same of God. Catholics are not Unitarians (though you would not know by the way they act and speak about God sometimes); Catholics believe in and relate to God who is a trinity of persons: Father, Son, and Holy Spirit. We pray to God the Father through Jesus Christ under the power of the Holy Spirit. Further, Catholics say that the Trinity decided, because of their love, that the second person of the Trinity, would become man and open the gates of heaven so that humanity might know, love and serve God. When it comes to the concrete, our faith in Christ as the Word made flesh indicates to us that we engage in reality precisely because the Lord entered into human history. But there are obstacles for a solid engagement of culture in an era that holds fast to a variety conflicting epistemologies that are contrary to the Gospel and orthodox theological reflection. Moreover, it may be difficult for some people to believe in and experience the reality of love: do we know that we fight to love and to receive love? Do we really accept that humanity is impoverished when love is absent or dysfunctional? Then there is the issue of believing that the intentions of a lover toward his (her) beloved are pure and oriented toward the good. Sadly, the idea that we ought to have affection for ourselves is often perceived as new news and met with no small amount of skepticism. One way of engaging life is having affection for ourselves -NOT egotism– but a genuine affinity for the self which opens the door to see life differently. Affinity for self and others can be another way of speaking about love, but the use of the word “affinity” gives us a new set of eyes and legs for engaging reality that is before us. Having affection for oneself means that we lean toward our destiny more seriously, intentionally and with wholesomeness so as to live a companionship desired for us by God. A recently published book puts our view of reality, love and God on end. Elizabeth of the Trinity: Always Believe in Love, edited by Marian T. Murphy, OCD (New City Press, 2009) is a wonderful collection of writings of this relatively unknown saint-to-be, Blessed Elizabeth of the Trinity. 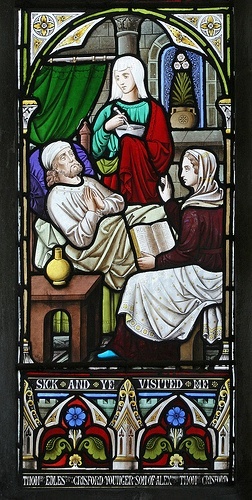 Elizabeth was a Carmelite nun who spent five years in a Carmelite monastery before dying at the age of 26. She is revered as a mystic with a profound understanding of the doctrine of the Blessed Trinity, and that’s not only because her religious name in the convent acknowledges a fact after a spiritual experience. The book includes extracts from Elizabeth’s diary, letters, poems, retreat notes, a prayer, a chronology and a select bibliography among other things. 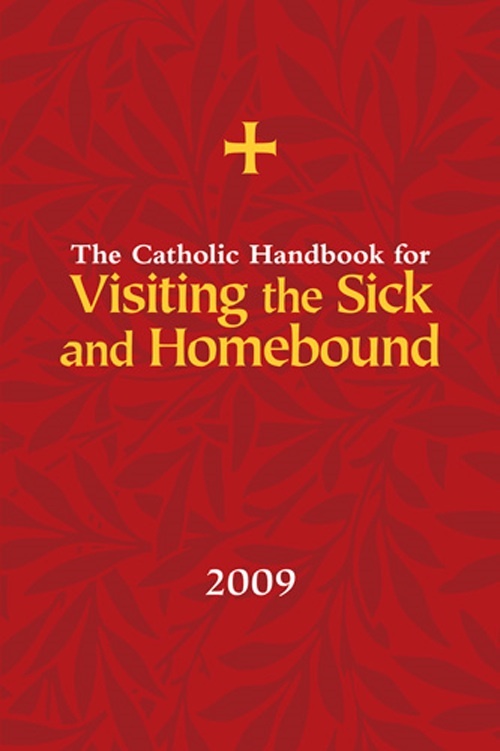 This volume is my first introduction to the person and thought of Blessed Elizabeth save for Father Henry dropping her name in a homily or two. The holy and human attractiveness of Blessed Elizabeth confirms my suspicion that we want, need men and women to point the way to a deeper union with God: with Elizabeth (and countless others) there is no reason why Catholics have to search for mystical experiences in other faith traditions. What I came to realize is how profoundly centered on the love of the Trinity this young woman was, and how her mission to lead others directly to Christ was keen. What the Second Vatican Council asked us to do, that is, to reclaim to claim a personal holiness centered on the Incarnation, Elizabeth promoted in the 19th century by telling us: “Look at every suffering and every joy as coming directly from Him, and then your life will be a continual communion, since everything will be like a sacrament that will give you God.” There’s no separation from between life and God. Do we live our lives with this conviction? Can we see this belief in our daily actions? 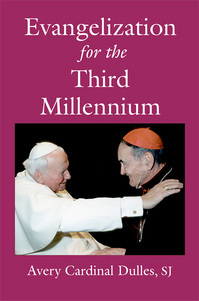 One learns among many things in this volume that Pope John Paul II was influenced by Blessed Elizabeth and so made it his mission to make her known to the Church. At the foot of Elizabeth we realize ever more deeply that in being loved we can love.